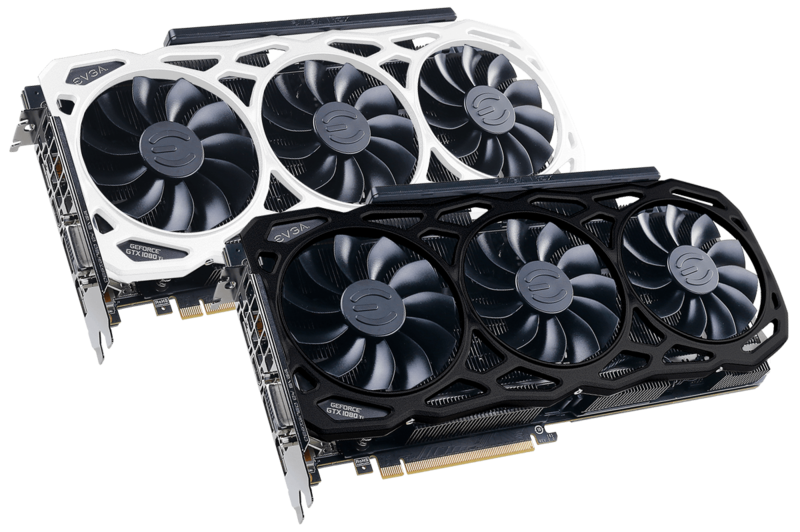 In an effort to remain near the top for gaming graphics, EVGA has come out with a new GTX 1080 Ti utilizing 11GB GDDR5X memory clocked at 12Ghz. This bump in memory clock pushes the card to have more memory bandwidth than an RX Vega 64 equipped with the significantly more expensive HBM2 memory. With the higher memory clock, memory bandwidth increases to 528.3GB/s. This surpasses EVGA's own 'Kingpin' special edition graphics card, designed for extreme overclocking, in raw bandwidth but falls slightly short in core clock speeds. The FTW3 Elite has a 1569Mhz base clock and 1683Mhz boost clock compared to the 1582Mhz base and 1695Mhz boost clocks found on the Kingpin edition. The FTW3 Elite comes with EVGA's iCX technology including nine additional temperature sensors, airflow chambers, and a custom backplate. Full control of all extra features found on the card is performed using EVGA Precision XOC software. Similar to other EVGA cards, the FTW3 Elite fits in a 2 slot width and will not interfere with other PCIe slots that are more than a slot width away making it easy to put two of them in SLI, an important fact for extreme performance enthusiasts. Full specs and details on the GTX 1080 Ti FTW3 Elite can be found on its product page. No official pricing was given, but a suggested price of $849.99 can currently be seen on EVGA's website. Existing EVGA Elite members may receive a discount to order the new card at $819.99 after an instant rebate.